This client had industry experience but had not previously run their own business. As a startup, bank financing was not available but they needed funding to get started. They had approached other factoring companies but chose Grace Capital Resources due to our flexibility, easy access to decision makers and seasoned expertise. 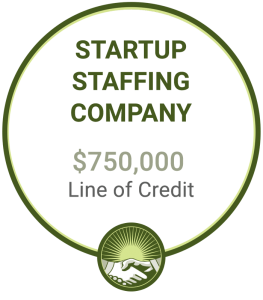 Client: Small staffing company based in New Jersey. Situation: This client had industry experience but had not previously run their own business. As a startup, bank financing was not available but they needed funding to get started. They had approached other factoring companies but chose Grace Capital Resources due to our flexibility, easy access to decision makers and seasoned expertise. Solution: Grace Capital approved a line of credit that could grow with the business. We have since increased their credit line to over $750,000 over 18 months. Result: They’ve expanded, they’re hiring more staff, bringing on more clients, and are on their way to success.